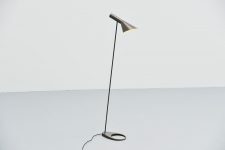 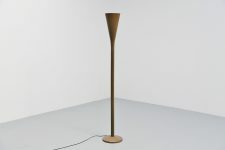 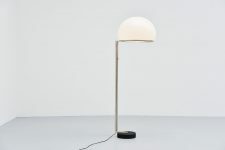 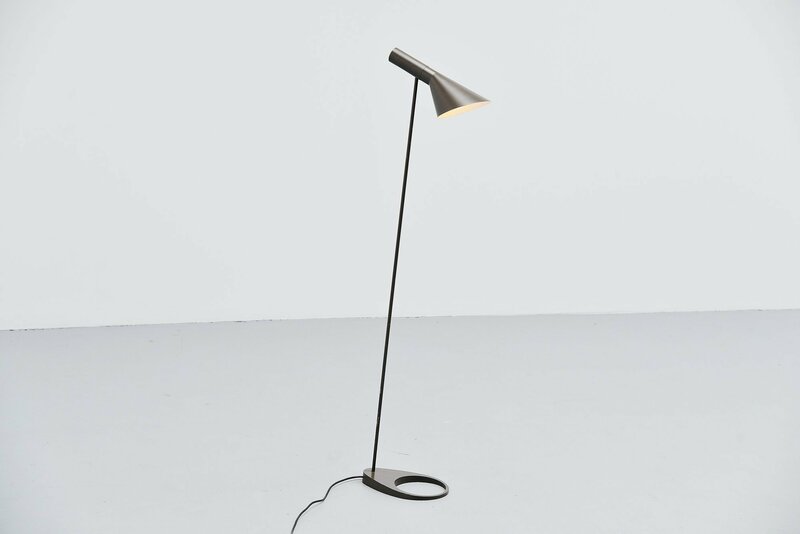 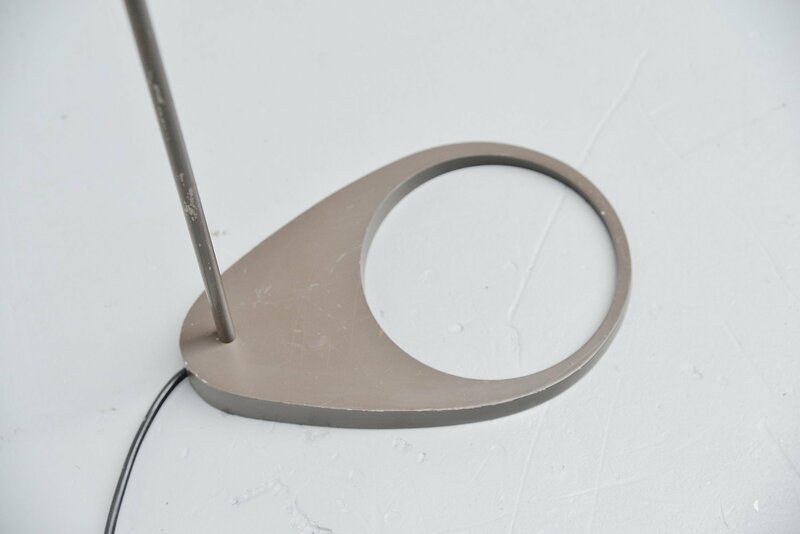 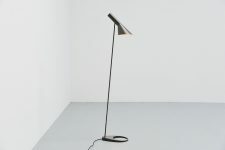 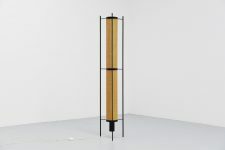 Rare first edition floor lamp designed by Arne Jacobsen for Louis Poulsen in 1958. 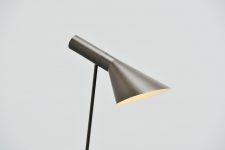 This is for a rare and now very hard to find first edition in dark grey brown color. 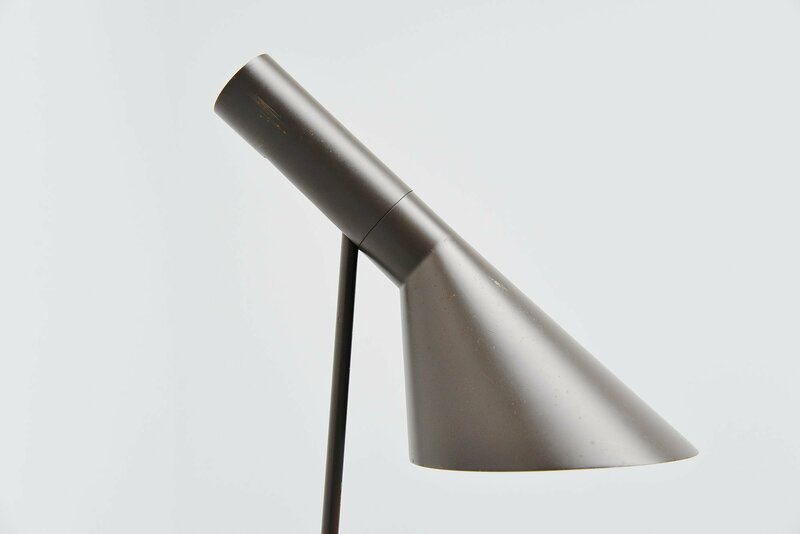 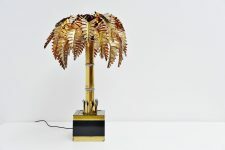 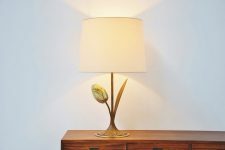 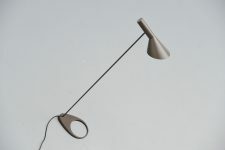 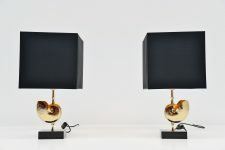 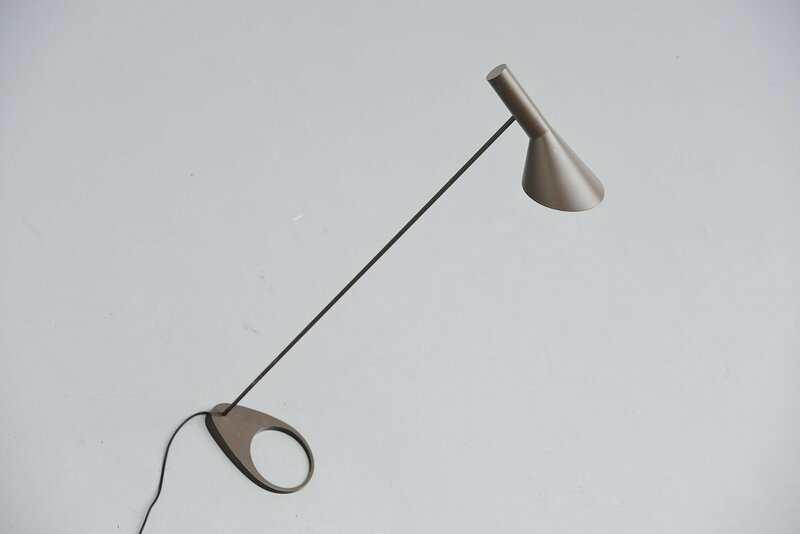 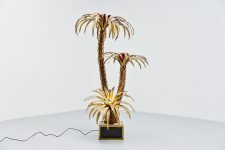 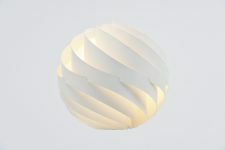 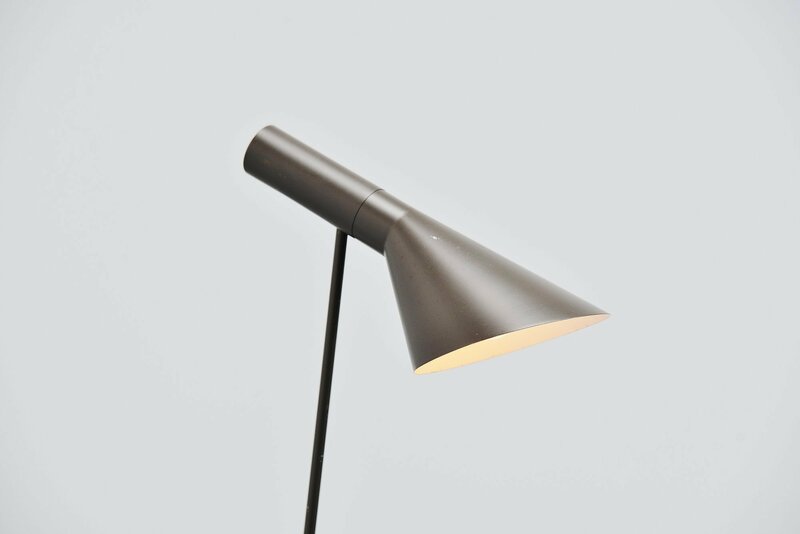 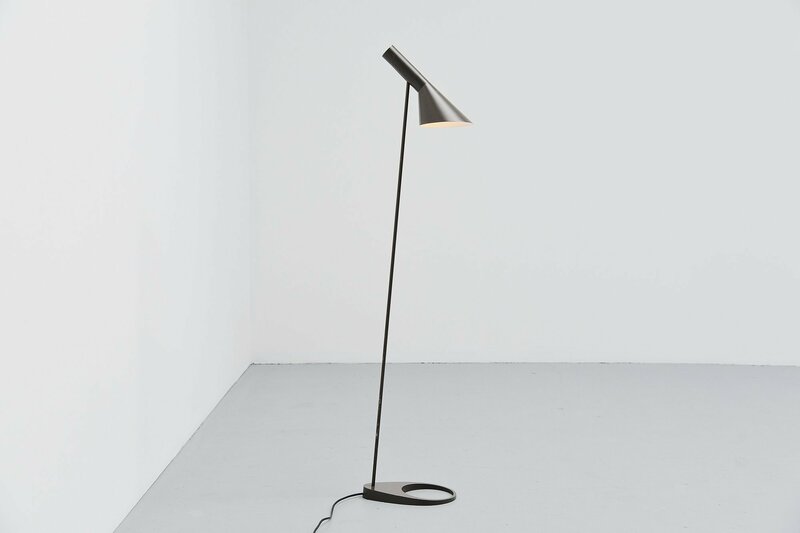 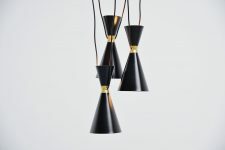 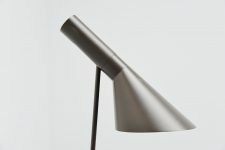 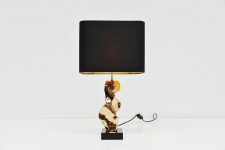 This lamp is one of my personal favorites and a real design classic. 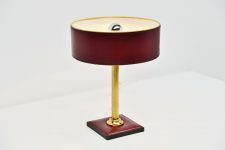 Still in production after all these years but this is the real deal vintage and this color is no longer available. 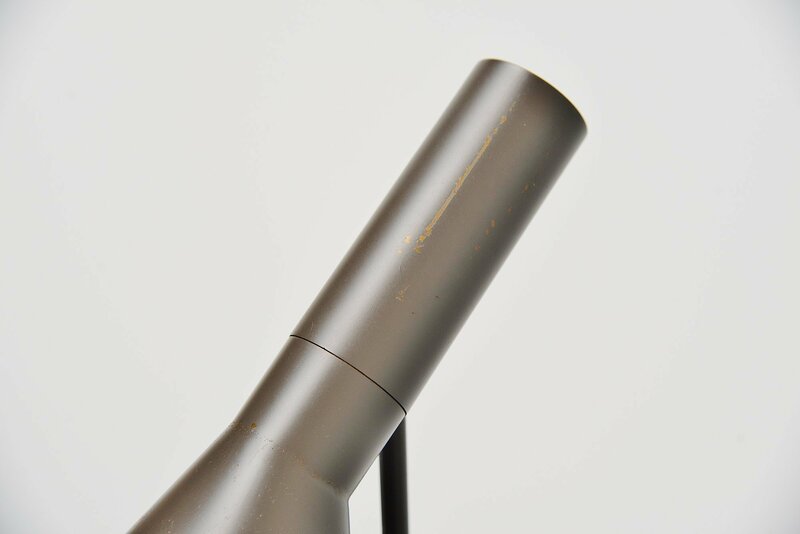 This lamp still has the original Bakelite socket and labels and the lamp is in overall good condition. 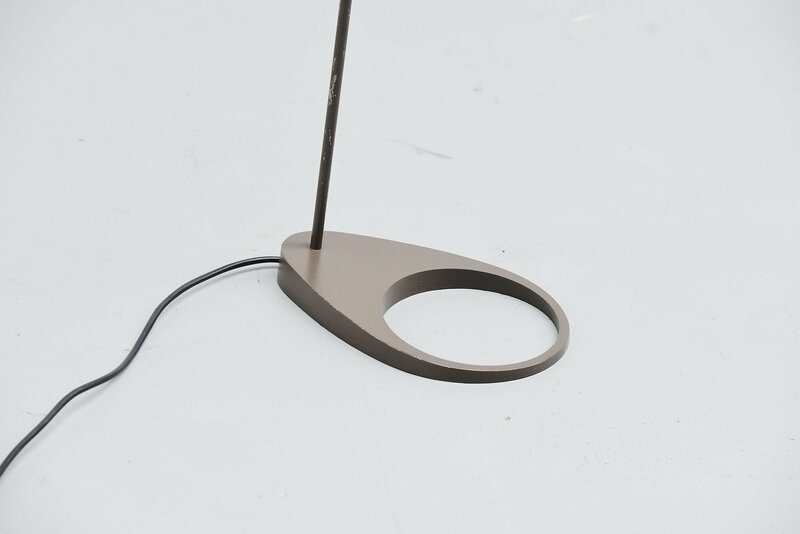 You can see this is an old one, the bar has some minimal paint wear and the shade as well. As you can see the end of the shade was made of brass, the new ones are made of aluminum cause its cheaper. 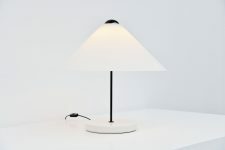 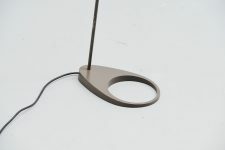 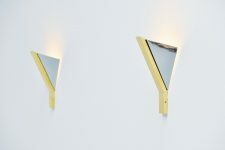 This is a lamp that fits in any design interior, home or office. 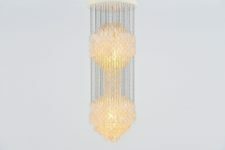 Timeless design beauty!